I am incredibly psyched to be invited to participate in a panel discussion with Parsons The New School for Design on social media and personal branding for the fashion industry, as part of New York’s Social Media Week! I’m in the company of some amazing industry gurus and fashionistas, including Aliza Licht and Susan Tabak, and fashion faculty from Parsons. What’s particularly cool about this is that, not only do I love Parsons (art school geek I am, of course), but we will have the opportunity to chat openly with an uber-talented bunch of Parsons students, alumni and Social Media Week goers. Bring it! 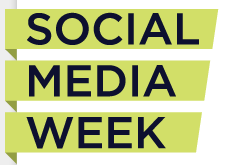 You can learn more about the event, and the big ol’ roster of NY Social Media Week happenings here.